The instructor, Alvin, was very knowledgeable and helpful. However, the address is mislabeled, and my intermediate class was me, with three people in the beginner class sharing half a lane because the other end was being used by a private. I feel taken advantage of since this class was in no way intermediate. It wasnt Alvins fault, but I couldnt even swim 20 meters consecutively because of the set up. He kept apologizing, but there is also no way to pay attention to beginners and intermediate students simultaneously. 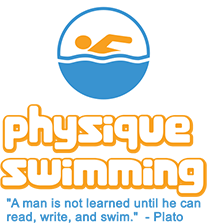 physique swimming should be honest about their offerings. The best swim lesson I've ever had. Perfect mix of encouragement, work out, and slight tweaks to form.